In the past I've often struggled to find decent online materials for IELTS so when I found Off2Class and saw that it had a stack of IELTS exam preparation lessons ready to go, I thought it sounded good. So I tested it out and it's definitely the way forward. That's why I want to share with you my experience of Off2Class and specifically how I use it to teach my IELTS students. P.S. This is a massive timesaver. If you haven't already heard about it, Off2Class is an amazing teacher toolkit, with hundreds of ready prepared ESL lesson plans that you can use to teach your students online or face to face. I recently discovered it and it's changed the way I teach. In fact I use it every day to teach IELTS students how to prepare for and pass the IELTS exam. If you're an ESL teacher, you're probably aware that this is a particularly popular exam and I get lots of requests for exam preparation classes. Want to tap into this lucrative market? 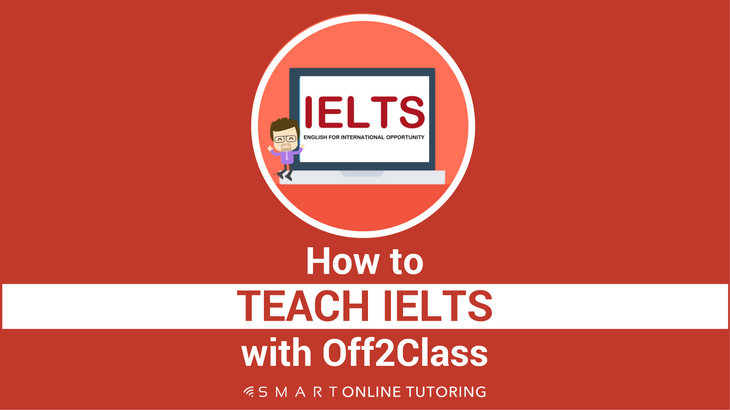 Read on or watch my extended video tutorial to find out how to teach IELTS with Off2Class. Make sure you know when your student's exam date is. This is important because sometimes students have already booked their exam and they might want an intensive course. This could involve teaching them every day for a couple of weeks. However, they might not have even considered booking their exam yet so this could be a longer term project that you might need to schedule with the student over several months. A lot of my students have already taken the IELTS exam one or more times before they come to me so they are often looking for additional help to get the level they require. By the way, if you're not familiar with the IELTS exam, it's graded from 0 to 9 and there are four sections (reading, writing, speaking and listening) with individual scores for each of these sections, plus an overall band score based on the average. Finding out your student's previous band scores and what score they hope to achieve can indicate what the main focus of the lesson should be. If you also know why they are taking the test, this will help you understand what their motivation is and you can encourage them towards that goal. With that said, they might be completely new to IELTS so will need an explanation of the marking system. The IELTS exam has two different tests, General and Academic. Academic is more for higher education or professional registration in an English speaking environment, where as General is more for secondary education, work experience or training programs and is also a requirement for migration to places like Australia, Canada, New Zealand and the UK. The speaking and listening sections are the same, but the reading and writing parts have some differences so it's important to find out which exam they are taking so you can prepare your course accordingly. The results will show you the correct and incorrect results as well as questions they didn't provide an answer to. You'll also get a learning plan that highlights language areas your student needs to work on based on their results. Simply launch and enrol your student on any of these lessons to focus on their problem areas and get your student scoring a higher band score in their grammatical range as well as vocabulary and accuracy. If your student has never done IELTS before, a good place to start is with the Off2Class introduction lessons. There's an intro lesson for each of the four skills, which introduces the structure of that part of the exam as well as example texts, recordings and questions. Some students might come to you saying 'I really need to work on my writing and speaking'. This could be based on their previous band scores or general weaknesses they are aware of. You can then plan your course to include a greater focus on these skills. IELTS has lots of different question types, especially for reading and listening, but experienced students might already know what kind of question types they struggle with. With the Off2Class materials you can pick and choose what type of question types you want to practise. For example, 'Matching Headings' questions in the reading exam is particularly challenging for many students so you can select that lesson within the Reading materials section and hone in on this area of weakness. You can use all four sections of the Off2Class IELTS materials for both exams with the exception of the writing section, which has one specific General training lesson. 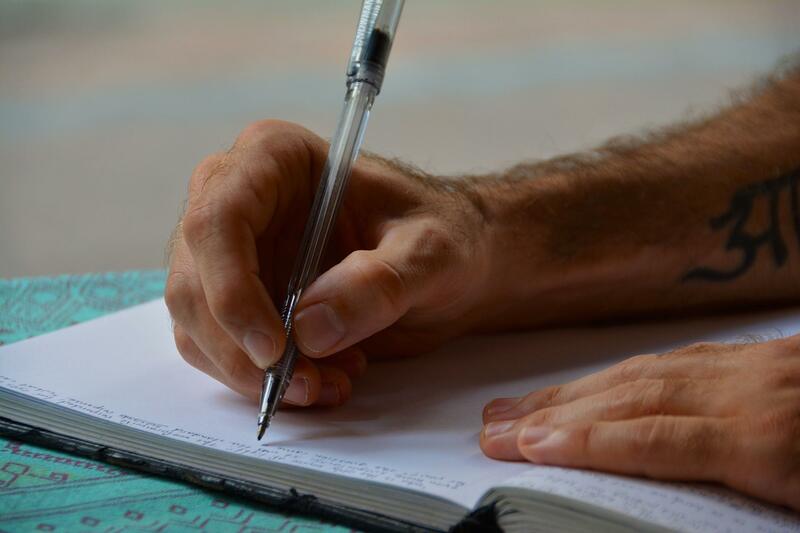 Several writing lessons are about the Academic questions for part 1 (describing different graphs) but the remaining lessons about writing an essay (part 2) are relevant for both General and Academic. 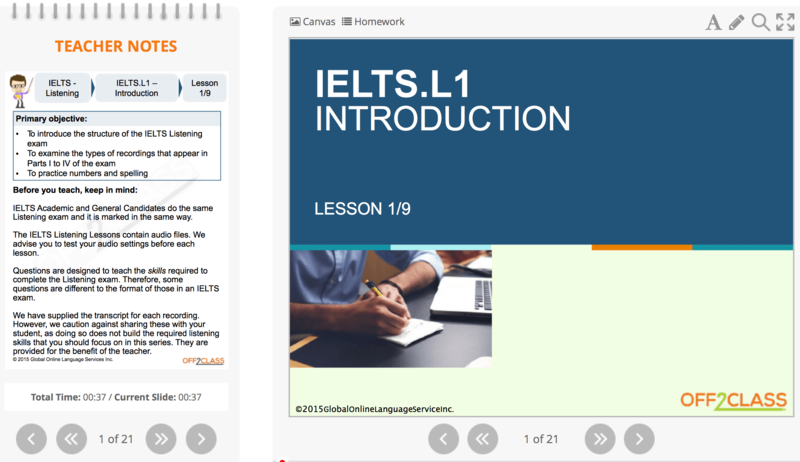 As with all of the IELTS materials on Off2Class, the main focus is on skills and techniques so even though some of the reading texts and writing questions are different, you can still use the materials for both General and Academic students. Focus on the structure and format of the exam. This should be as much as 80 or 90% of IELTS teaching, e.g. how to structure a 4 paragraph essay in writing part 2. In comparison, don't spend too much time teaching language. This is more of a secondary focus. I found this difficult when I first started teaching IELTS because I wanted to help them improve their general English, but IELTS lessons should really be more focussed on preparing them to pass the exam. Base your lessons on the skills, techniques and format of the exam rather than helping them improve their language. I know I just talked about doing a placement test to identify grammar weaknesses to work on, which is fine to do in some lessons, but it shouldn't be the majority of the course. Encourage students to do practice tests. There are lots of these available online and repetition is necessary for preparing for the IELTS exam. Practise time management skills. Examiners will be strict on time so practising this with your students is important. 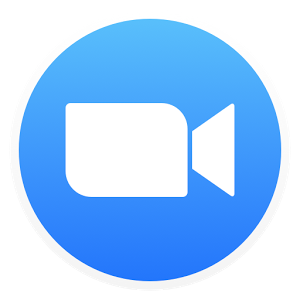 For example, with the different speaking parts, I use a stopwatch and interrupt my student if necessary when they go over time. Practise different question types. Your students need to be familiar with all of the different question types (there are 11 for the reading exam alone) and some will need more practice than others, e.g. the True/False/Not Given questions in the reading section often cause problems. Demonstrate and practise exam skills and strategies. Reading for gist, listening for specific information or predicting answers are all required in order to get a high score. Arguably the most important skill to learn is paraphrasing. This is really important because it will be relevant and useful for them in all four sections of the exam. If we take the writing part 2 section as an example (write an essay), paraphrasing the question within the introduction will be an easy way for them to score a higher mark. Just copying the test is not going to work. It's the same with the speaking. The examiner will ask questions and students are expected to reply using a paraphrased expression or synonym. This will demonstrate that they have a good understanding of how to use a range of vocabulary. It's also important in reading and listening because both the questions and the texts will use paraphrasing to test the level of the student's vocabulary range, grammar range and understanding of the text. Practising this with your student will help them in all areas. This is another key skill to practise because it can be very helpful if done correctly but can cause big problems if students don't know how to use keywords. 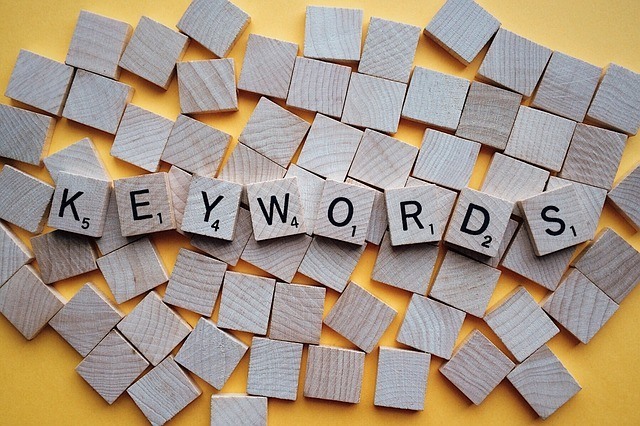 For example, sometimes students will fall into the trap of keyword matching. What does that mean? If they find a keyword in the question and then go to the text and find the same keyword and think “I've found the answer”. Unfortunately it's almost never that easy and is a quick way to lose marks. You need to explain and show the student that keywords show them where the answer is and not what the answer is. It sounds simple but surprisingly a lot of students have problems when doing this. Either they don't understand what they need to do or they just make a silly mistake by reading it too quickly. For example, in the reading exam there's a minor difference between the number of words or numbers they can write in the gaps. Make sure they know what it means to have no more than two words and/or a number. Cover a range of different question types to help them avoid missing out on easy marks. IELTS texts are not authentic but they are very close to it so you need to be careful about English you find on the Internet. Don't make the mistake of just grabbing authentic English texts from any random source. This is a big mistake. What I found to be a much easier way to choose IELTS materials and to avoid this common mistake is simply to use the Off2Class pre-prepared lessons. These have been carefully designed to replicate what students might see within the IELTS exam and although they look authentic, they've actually been adapted so they are suitable for the exam. I believe that setting homework is a key component to getting a good score in the exam. Students should do a lot of self study. The great thing about Off2Class is that most of the lessons have homework included. This is a massive time saver and will help your student learn in their own time. This means no more trawling through endless websites looking for relevant IELTS homework tasks. When you close the lesson slides, you can send homework to your student in 5 seconds flat. You can even set a time limit to let the student know how long they've got to complete the homework and you'll get an email notification when they've submitted it. Providing self study materials is a good way to agree on expectations for your IELTS course and how much additional work the student is going to do in their own time. As well as setting homework, the features I use most to teach online are the pen tool (for annotating the slides), canvas tool (to make a note of new language) and teachers notes (for quick access to answers and extra info). The team at Off2Class have also recently released some handy new features that make the lessons even more interactive. Read more about what they are and how I use these new features to teach online here. When it comes to teaching ESL for either IELTS exam preparation or general English, time is money. For me, less time planning lessons means more time teaching and more income. Put simply, Off2Class is a massive time saver for me, which means I can spend more time teaching students and growing my business. Personally, I love anything that saves me time and helps me earn more money doing what I enjoy, which is teaching English online. If that's the same for you, I'd certainly recommend Off2Class as a way to save time and money within your tutoring business. If you have any questions or suggestions about using Off2Class to teach IELTS or general English, please let me know in the comments box below. Matt is an online English tutor and founder of Smart Online Tutoring. He's a big fan of technology and when he's not teaching or helping others with their online tutoring businesses, you'll find him on the badminton court. 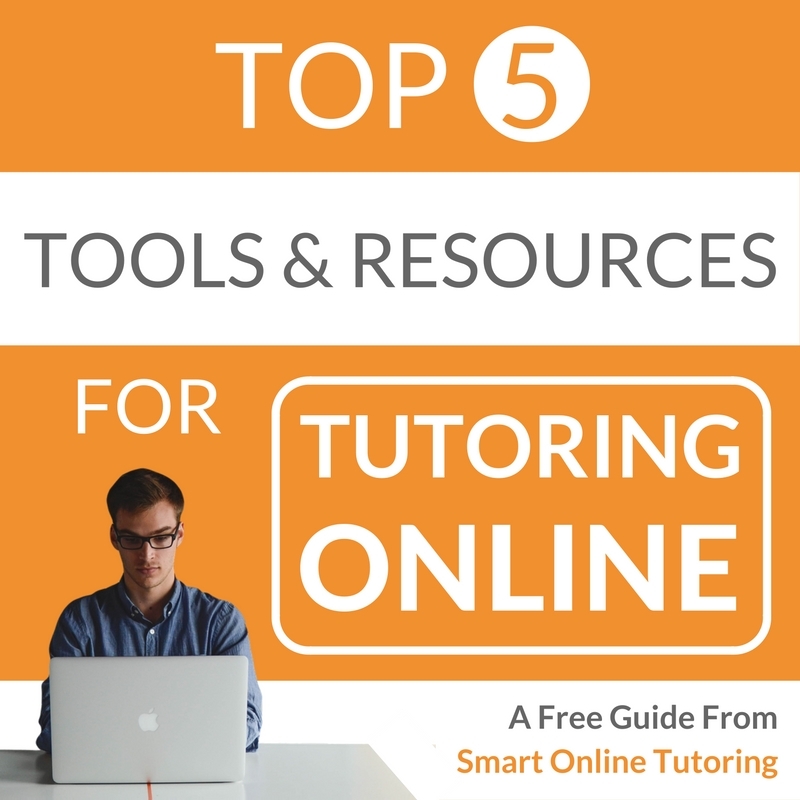 to run my online tutoring business?